Brenda says I agreed to move to Boundary Cottage because of the sandy soil. Rather unconvincingly I deny it and claim to not have even dug an inspection hole to see what I was getting. She says I had clients in the area and I knew! 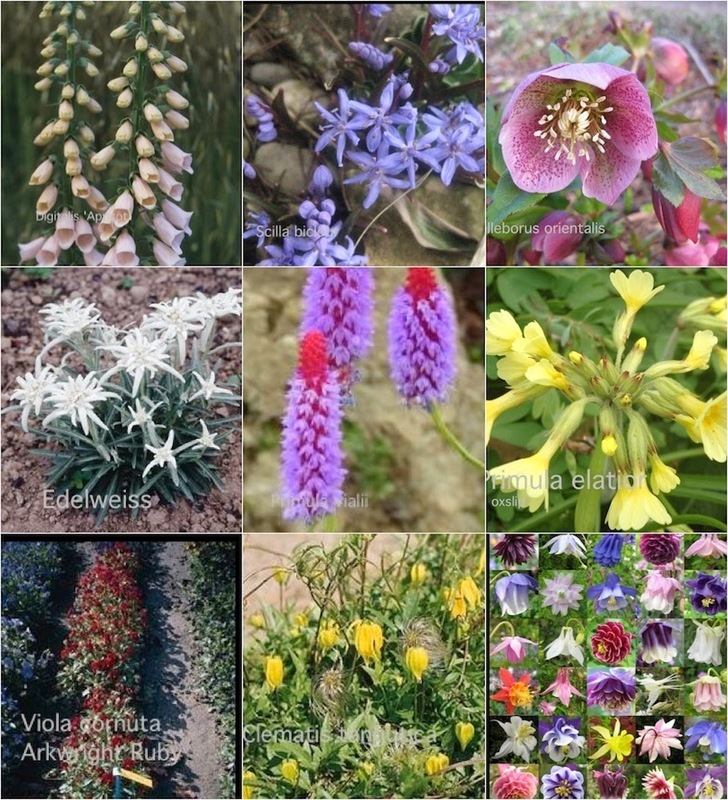 I did know that the sandy soil would increase my portfolio of plants, adding acid lovers and borderline tender subjects and those needing excellent drainage. I did envisage a huge range of new opportunities but not new constraints! Sandy soil is reputed to be well drained, have low water holding capacity, have naturally low organic content and be subject to leaching. Mine did not tick all the boxes and because the particles of sand are very fine it is pleasingly water retentive when wet. The significance of this proviso will become apparent. Although I describe my soil as sandy - and if you dig down a couple of spits it is pure sand - there is actually some local dispute as to whether it is sand or silt. It depends on what diagnostic system you use. Is it fine sand or is it coarse silt? We speak of nothing else! The local soil certainly makes excellent agricultural land and much of the nation’s turf is produced in this area. I have mentioned before that my minimum cultivation techniques have less advantages on sandy soil than on clay and I did have some unwelcome discoveries. It is amazing what surprises you get when you move form one garden to another. 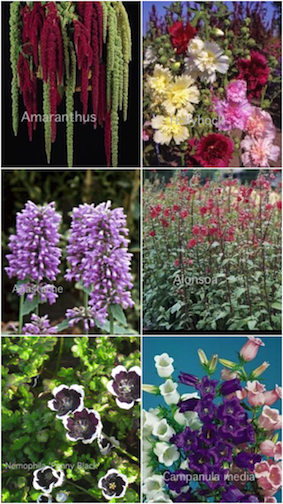 Some plants that are superb on one soil, will hardly grow on another. Different nutritional values make such a difference. Although lovely here at Seaton Ross, my Autumn anemones will only grow two foot high, whereas at Bolton Percy they make a magnificent six foot tall. ‘Easy’ monarda, achillea, hepatica, hakonechloa and skimmia hardly grow at all. You have to adjust your techniques in a new garden, What works in one garden is less successful in another. Japanese anemones in Bolton Percy soil. My less welcome surprises included finding a small part of the garden was a natural podsol with a hard iron pan. (Well,in truth, for a mad horticulturist, it actually was quite crunchy and a fascinating horticultural challenge). 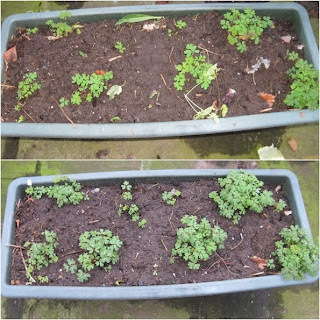 The worse surprise was that my lovely water retentive soil when very dry would not easily wet. I planted some one year asparagus crowns alongside my vegetable garden. It is slightly raised from the path. Not the fashionable raised bed that looks like a timber yard and ironically had it been one, the wooden lip would have prevented water being cast off. I have never seen young asparagus grow so well and I was starting to envisage only two years of establishment before I could crop. Disaster, hardly a shoot emerged the following year. I dug up a plant, the soil was dust dry. Not just dehydrated, like at the end of the season, it was as dry as a bone. There had been no wetting up by the heavy winter rain. No water at all! I had already noticed that when my soil surface was dry I could not easily water-in newly planted plants as the water ran horizontally away. I had started to plant in small holes to enable establishment-watering to soak in. I then noticed in a late Spring following a very wet Winter that the shallow fall in level of the lawn - where the higher part of my garden gently slopes down - looked rather brown. An inspection hole revealed completely dehydrated soil. I recalled a former client in York who had had exactly the same problem. Soil hydrophobia is when fine particles of silt or sand refuse to admit water between their dry surfaces. Depending where it occurs it might be mild repulsion overcome by steady rain or in severe circumstances it needs incorporation of bulky organic matter and dare I say loosening by cultivation to let in water! (This was to be a post in my ‘why gardeners dig’ series but I do not want to give gardeners too many excuses to dig, they invent enough for themselves!). I mentioned adding organic matter but if this is also bone dry ‘from the bag’ it can be hydrophobic too. I checked on the net before writing this post and noticed people reporting hydrophobia on clay. I think they are probably wrong and they merely have compaction! When I water my none dug, beautifully structured, clay soil in my Bolton Percy garden water instantly soaks in. Pure joy. I do not want to suggest I have a serious problem, more of a minor inconvenience to be overcome. Three quarters of my garden is low lying, receives ample drainage water from higher ground and the natural sub irrigation from my ‘perched’ and active water table ensures that even in Summer it does not become seriously dry. As long as I avoid small areas of elevated soil in the upper parts of the garden everything is fine. In this part of my garden established shrubs and perennials have deep roots and have followed the water table down. My trees grow particularly well. In Summer the ground water is perhaps six foot down. The metre wide slope on a small section of the lawn required special attention. I stripped away what pretended to be turf to reveal two foot of dust! It certainly took some wetting by repeatedly filling my holes with water and ‘working it in’ with my small border spade. As it started to wet up I added ‘water absorbent gel’ and crushed bark to ensure the problem would not reoccur. 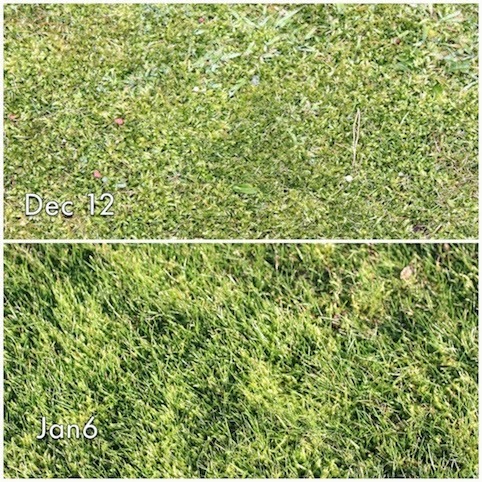 I re-sowed the surface with a fescue/bent fine grass mixture. A grass path on the same slope was even worse. It gave Brenda a fine excuse to lay a lovely stone path. Her very successful avoidance ruse. Much of my upper garden is well mulched with bark and gravel and most surfaces therefore do not have the opportunity to become hydrophobically dry. The garden is rich in organic matter and stays moist. I never had a problem in my vegetable garden anyway, but now that I regularly spread my own lumpy biochar I do not even need to plant in holes! I do find that my ferns do best where I have buried newspaper! By ferns grow their very best in tubs of my sandy soil. My sandy soil creates an unusual opportunity. As mentioned earlier, when wet, my soil holds a lot of water and yet is well aerated. If used in tubs and containers and even pots and seed trays it does wet up as water soaks through.The water can go no where else as it is retained by the rim! Unlike peat based composts - which are hydrophobic when dry and making matters worse, shrink - water does not run through my sandy soil until it is at full moisture holding capacity. My soil in containers holds as much water as most regular seed and potting composts. Whenever gardeners have asked me where to get seed of unusual or rare plants I have recommended Chilterns. Somehow the address, Bortree Stile, Cumbria, seems to stick in my mind and over the years I have enriched my garden with their seeds. I receive a treasure chest in the shape of their unusual long narrow catalogue every year. I must never have been a viable customer. I am not a big spender and my small annual order - I am always tempted - will scarcely have enriched them. People say there is no such thing as bad publicity so here is my own attempt to promote them as a ‘thank you’ for years of pleasure and many fine plants. Seed will never be the only way to furnish a garden, especially with perennial plants. There are far too many pitfalls. 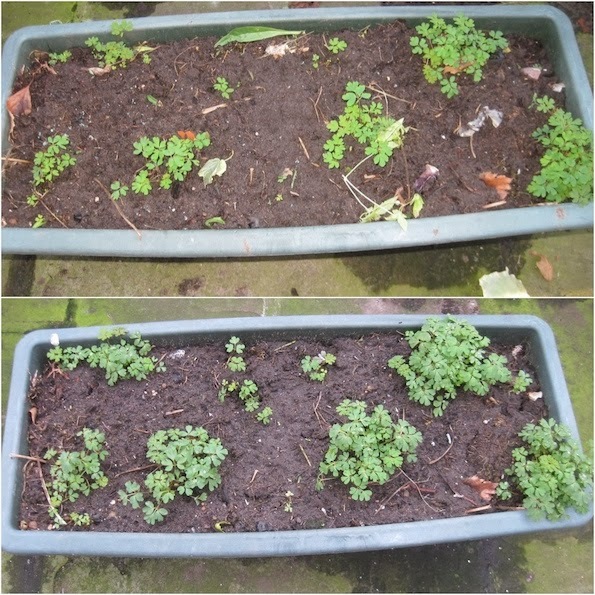 Cultivars of herbaceous perennials do not usually come true, some seed takes a long time to germinate and even though of high quality and fresh sometimes fails to germinate at all. 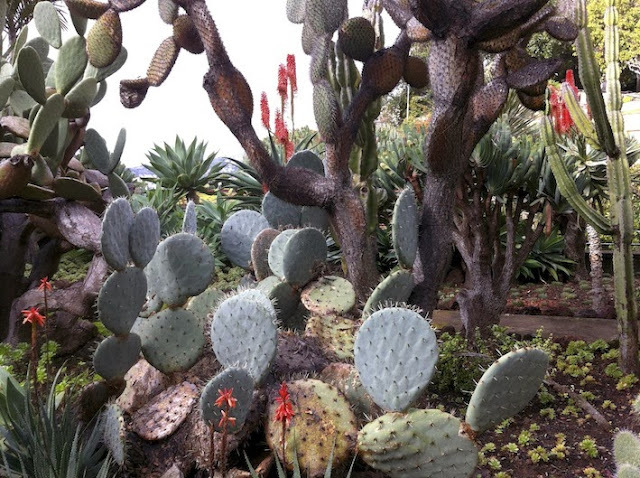 Some plants such as trees and shrubs take many years before they mature. Despite my provisos there are thousands of fine plants that can easily and rapidly be raised from seed without needing any special knowledge or equipment. Some plants can only be raised from seed. Many plants are best raised from seed. Seed is arguably the most pleasurable method of propagation. I don’t expect your own seed order will be the same as the plants I mention today. The plants I highlight are really reminiscences of my own gardening pleasures past and a few are extra delights anticipated this year. 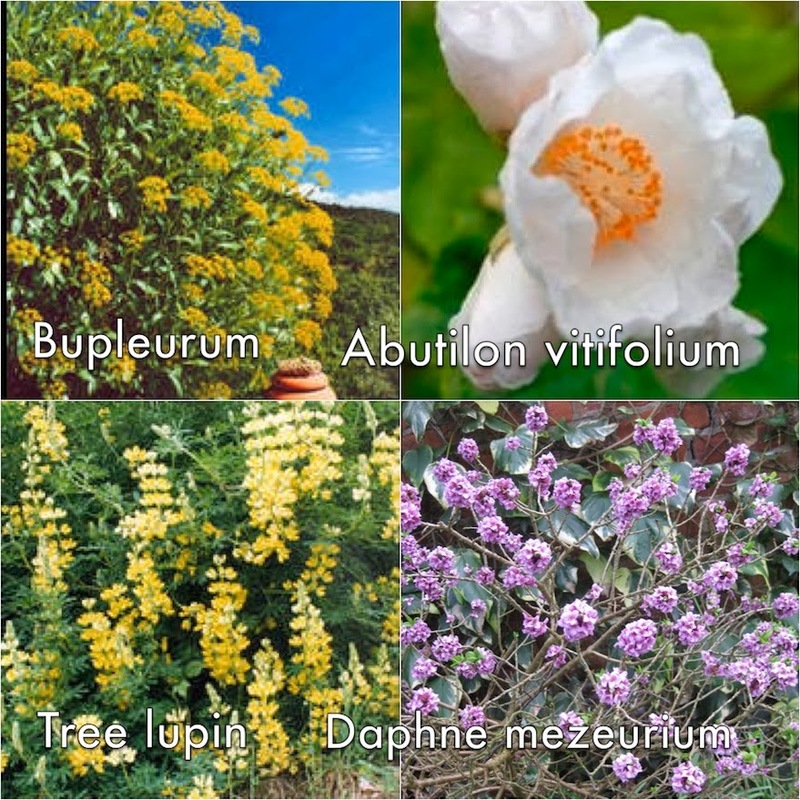 If you order their fascinating catalogue or go to their excellent website you will quickly alight on plants that take your fancy. Perhaps you will not be as frugal as me. Plant descriptions and tips in Chiltern’s catalogue are detailed, anecdotal, delightful and amusingly written. Sometimes they are brutally honest. I love their prose. 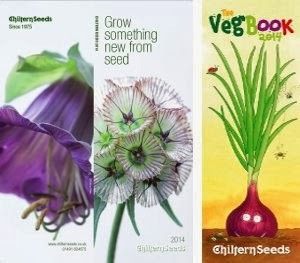 Tales of seed raised plants. All plants mentioned are in Chilterns catalogue. 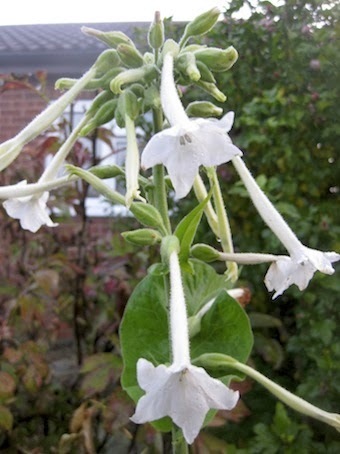 Nicotiana sylvestris. This highly scented half hardy annual spontaneously returns every year. 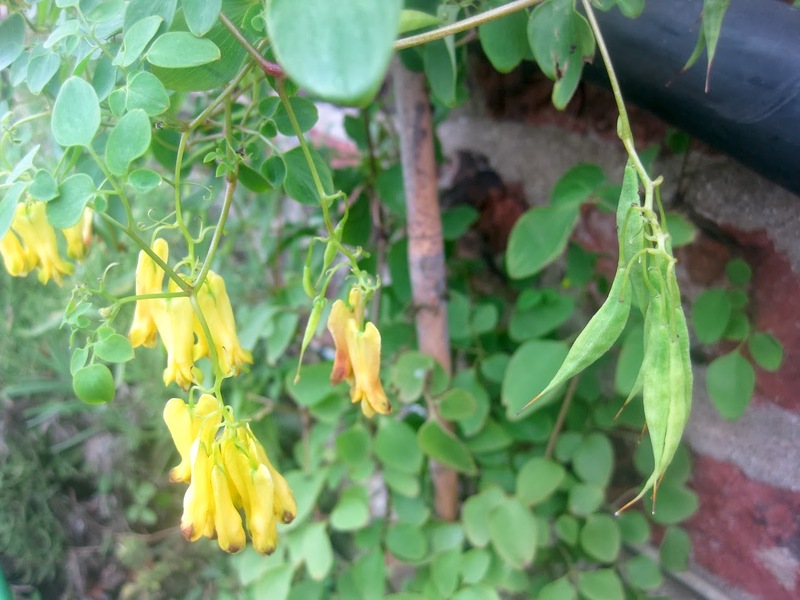 It pops up in May in my glasshouse as a volunteer in recycled soil, in June in my borders and even in my vegetable garden. It is wonderful for gaps. Ecballium elaterium. The squirting cucumber. This insignificant, inelegant, inedible plant occasionally reappears as a tolerated weed. An eminent former colleague, a keen botanist stooped down to examine it. Right on cue, the squirting squirter shot him. Smyrnium, Alexanders. I bought this one for it’s umbelliferous green flowers. We subsequently walked in East Anglia.It lined every farm field as a weed. Verbena bonariensis. A posh lady client had eight herbaceous borders. She was very proud how they were generously suffused with this magnificent plant. She asked her new gardener to cut them back in November. He thought he would do better than that and yanked them all out! White rosebay willow herb. Flower arranger and Chelsea Gold medal holder Jackie Barber hired me to spray out the weeds in her herbaceous borders. I carefully sprayed her precious, not yet flowering, white willow herbs with glyphosate. She continued to employ me for another ten years and we are now very dear friends. (Sorry, it’s not in the catalogue but I could not resist the story). Variegated honesty. When I started in Bolton Percy cemetery I generously scattered seed over ivy I had mown flush to the ground. The bold stand of flowers were outstanding on my very first Open Day. It has been with me ever since. Cultural note. If it germinates in Summer when it is warm, it is green; if it germinates when it is cold it is variegated. Do not throw the green ones out, they will be your very best intensely variegated plants when they flower the following Spring. Cyclamen persicum - wild form. I shall be tempted this year to try this parent of the florist cyclamen as a cold greenhouse plant. Chrysanthemum segetum. Corn marigold, I won’t be buying this! The field next door is full of it. I love it so much I have posted about it twice! Dodecatheon. Shooting stars. Wonderful late March flowers for moist areas. I save seed every year to increase my stock. I have hundreds. Sorry the white one is not in the catalogue. Polygonum orientale. Kiss me over the garden gate. This magnificent six foot high annual germinates from self sown seed in late May, but only sparsely. I have lost it yet again and am delighted to be able to buy some more from Chilterns. If you are feeling naughty you can start a rumour that you have Japanese knotweed! You won’t have, it’s much nicer and of course it is annual! 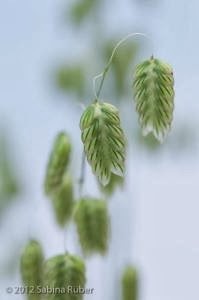 Briza maxima. 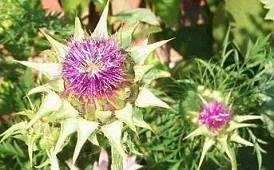 It has magnificent seed heads and self seeds itself in bold clumps in Worsbrough cemetery. The locals regard it as just another of my weeds. 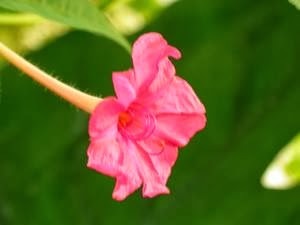 Miriabilis jalopaa. Marvel of Peru. I sowed it last year in my unheated greenhouse in early April. Subsequently in my borders it made strong free standing un-staked multi-coloured plants. I have saved thousands of seed for this year. Sorry Mr Chiltern, I won't need to buy any more. 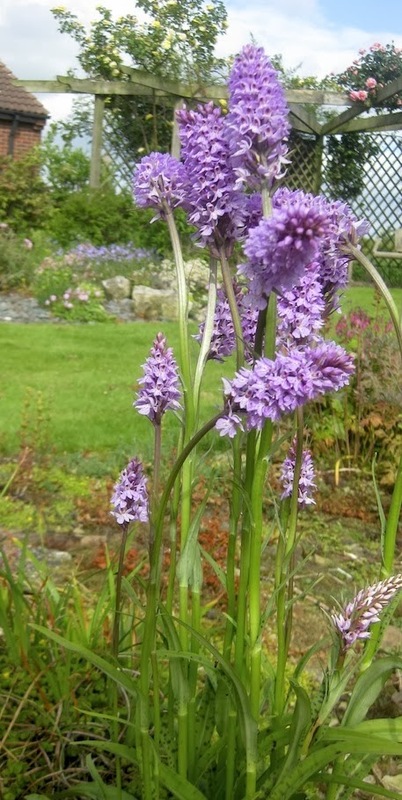 Dactylorhyza. New self sown orchids sometimes appear in my garden in the most curious of places - cracks in the stone path and in the lawn. Chilterns are honest enough to tell you that your chances of getting it to grow from a seed packet are a cat’s chance in hell. They do provide a very generous packet at a relatively low price. It’s like giving a challenge! 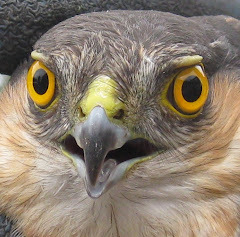 Galtonia. This tall beautiful elegant bulb is magnificent in July. My long gone, much loved colleague, Jim Hingston called it one of the great plants of the world. It’s jolly nice Jim, but I could never understand why. Dicentra. As holder of the national collection, I can inform you that D. scandens, D.macrocapnos, D. spectabilis and D.eximia come true from seed. Dicentra cultivars do not. Eucomis, pineapple plant. 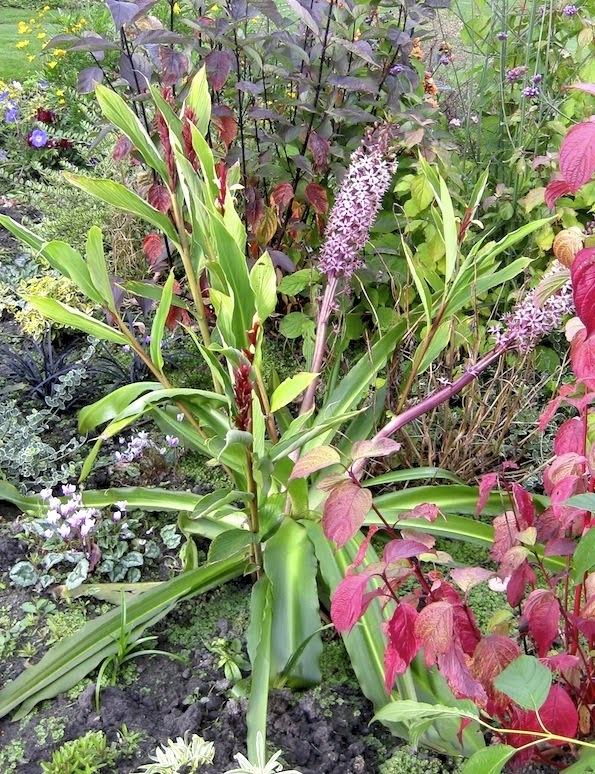 Twelve years ago I sowed in my greenhouse a mixed packet of eucomis seed. Three germinated and all proved to be distinct forms. They flowered after three years and I have now increased them by dividing on numerous occasions. Peter Williams says thank you too! Last week his lapageria in his frost free greenhouse flowered for the first time. Peter says he feels like a dog with two tails. Four years ago the beautifully packed seed came from Chilterns. If you are like me, it takes a lot to drag you away from your garden. To prize me away there are two significant criteria; to visit other gardens and not be away too long! 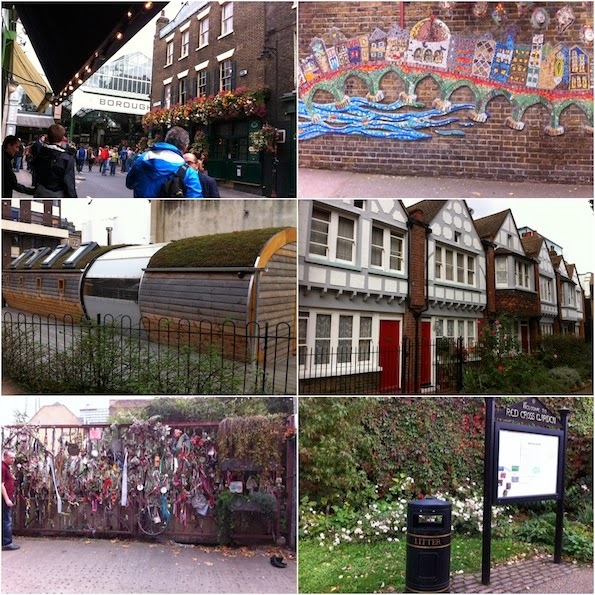 I wrote last July about our first visit to London Open Squares gardens. This year we are going again. Our cheap Waterloo Travel Lodge is already booked, my OAP train pass is about to be renewed and R.Broom’s bus pass - my writing is somewhat illegible - is at the ready. I hope you never see my bus pass, I look like a criminal! We have been to Amsterdam Open Gardens three times in the last eight years. Each time with different friends and not always gardeners. The beautiful classical Old Amsterdam buildings you pass through to enter the gardens and the associated Dutch culture are a delight in themselves and the thirty-odd gardens are a horticultural feast. An Open ticket for all of the Dutch gardens is only 15 euro. The ticket gives directions, cheerful volunteers mark your tickets as your record of achievement and most important all gardens are in a navigable area. You walk from garden to garden. We sometimes take a canal boat to a distant garden and wend our way back via gardens to our hotel in the evening. Our own personal Dutch formula Is to sleep overnight on Hull Ferries, enjoying the good food and wine. We are bused from Rotterdam to Amsterdam, take a taxi to the Eden Hotel where we stay two nights. That’s four nights away and three days feasting on gardens. Back home Monday morning. No need to ask Peter Williams to do any watering! Unfortunately our visits to Amsterdam were before I became infected with bloggery and when I never used a camera! 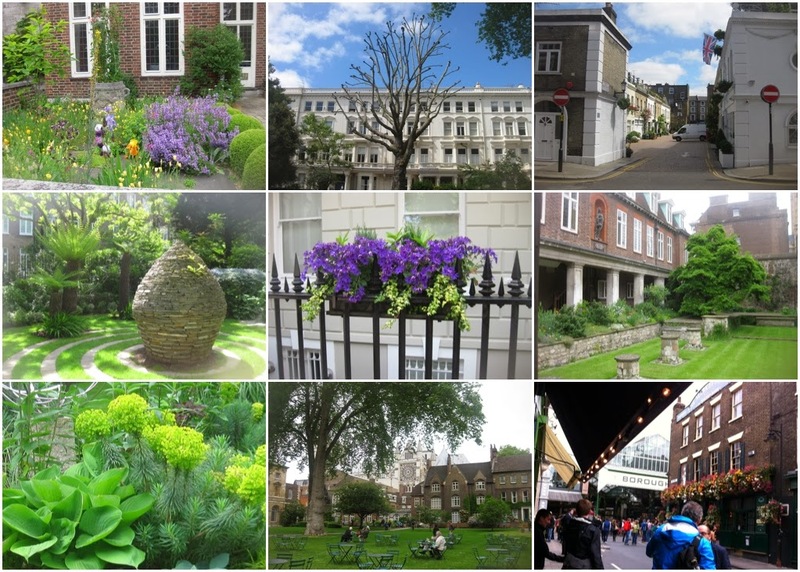 In my previous London Gardens post, most of the pictures were from my good friend Harry Kennedy. Here is a composition of a few of my own. I wonder what you think of the London plane pruned in the french style. I love it in street scenes when I visit France but am not sure about London. As I have grown older, I have moved from derision to begrudging admiration! 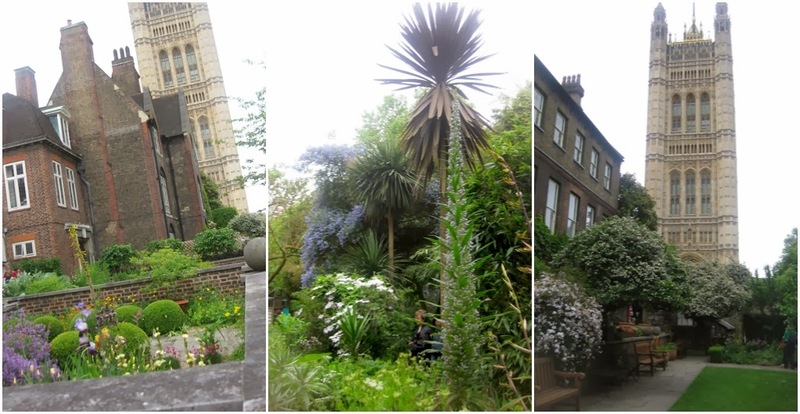 Although the Open Gardens Scheme provides a unique annual opportunity to see many of London’s gardens, many of the gardens are open more frequently and some all the time. Brenda’s son Iain has a flat a stone’s throw from the Shard (if you have a very good arm). Formerly a run down area, it now has new tall modern buildings springing up every time we go. Alongside modernity there are many fine old buildings. It’s not far to the site of the old debtors’ Marshalsea prison, a relic of Dickens time. 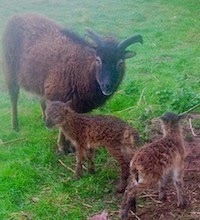 On our last stay in Iain’s flat we had a local walk round. It is quite fascinating how many small gardens are so close to the Shard. The picture taken from Iain’s window is Old Hallows church. Its garden is horticulturally un-special but it is a splendid green oasis in the busy city and it hosts a very fine acacia. From the same window looking up to a high horizontal roofline of flats you can see the top of the Shard. At night it looks like a huge colourful dalek standing on the roof. Sorry but my camera let me down yet again. I liked this approach to the growing and displaying of dwarf plants. 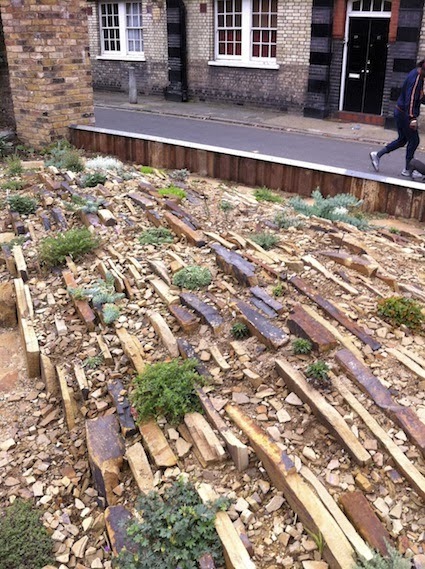 Some fine alpine collections now use this technique which perhaps has some of the cultural advantages of a raised bed. If Borough market is open it is well worth a visit. All human life is here. There is so much tradition, craftsmanship, colour, character and fine produce that as the subject matter for a blog there would be stories for years.